New Year, New YOU! Have you gotten started on your New Year Resolutions? 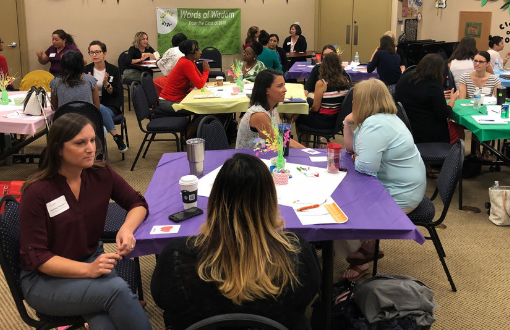 The Future Ready Collier network suggests making one of those resolutions to build a strong network of support by participating in a Parent Cafe! Looking for some fun activities to do over winter break? While residents of Southwest Florida may not be “trapped indoors” due to extreme weather, you may still be looking for fun activities to do with your young one (or older one with some clever adapting!) during the winter break! A community-wide goal of Future Ready Collier is to ensure all children are Kindergarten ready. 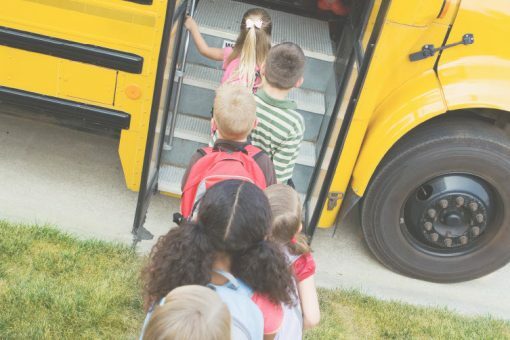 Future Ready Collier network partners compiled a resource kit to help your child be prepared for Kindergarten. To download your own Kindergarten Readiness Toolkit, click here. NOW AVAILABLE in Spanish (click here) and Creole (click here). 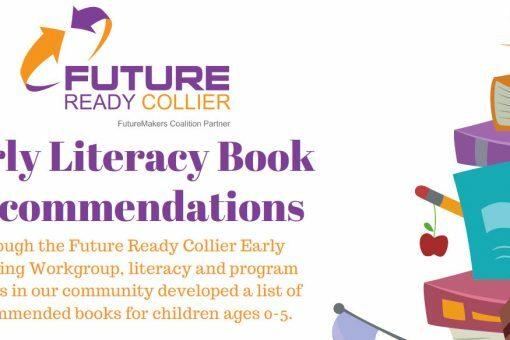 Through the Future Ready Collier Early Learning Workgroup, literacy and program leaders in our community developed a list of recommended books for children ages 0-5. This list was developed to address significant gaps in resources and provide support in literacy for our community’s youngest learners. Now Available in three languages! To download your copy of the book list, click your preferred language: English, Spanish, and Creole. A goal of the Family Engagement and Literacy priority team has been to increase home libraries for children 0-4. 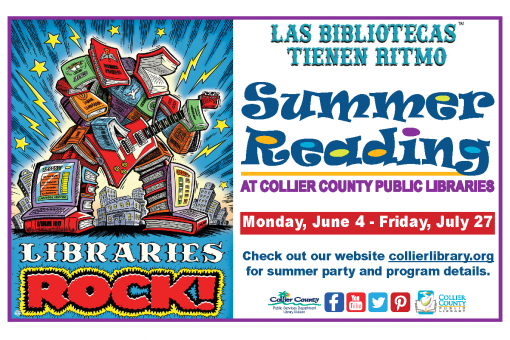 This has been made possible through support of Books for Collier Kids. Through the partners and volunteers, they recently started to distribute books to Women, Infants, and Children (WIC) offices, expecting to hand out 1,000 books per month. Want to get involved and be part of this effort? You can volunteer with several of our partner organizations. To see the complete list of opportunities, click here. 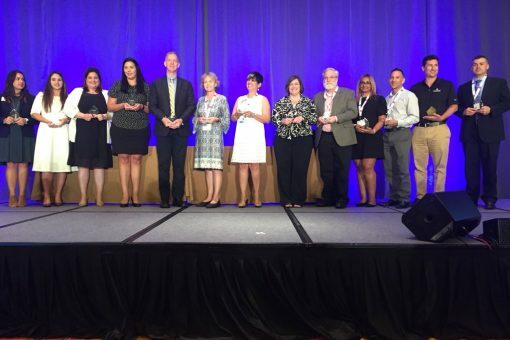 Are you a Center Director, Early Childhood Educator, or Parent/Guardian? 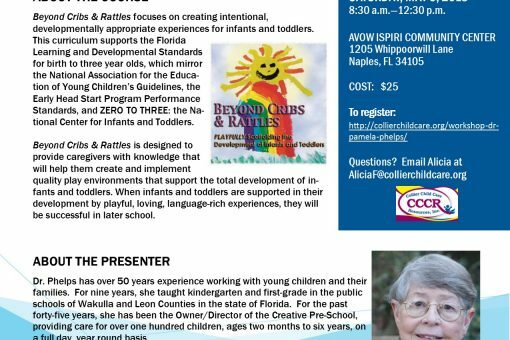 If so, you should consider attending the Beyond Cribs & Rattles Symposium, presented by Dr. Pamela Phelps. A wonderful opportunity to be #FutureReadyCollier! Collier Child Care Resources, Inc.
Did you know there is research showing benefits of shared reading begin at about 6 months old? 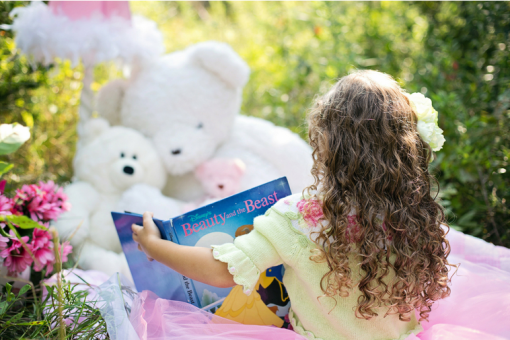 Check out a great article from Zero to Three that talks about the importance of reading to your child at an early age. To read more, click here.